Massachusetts Health Policy Commission Review of the Proposed Merger of Lahey Health System; CareGroup and its Component Parts, Beth Israel Deaconess Medical Center, new England Baptist Hospital, and Mount Auburn Hospital; Seacoast Regional Health Systems; and Each of their Corporate Subsidiaries into Beth Israel Lahey Health; and the Acquisition of the Beth Israel Deaconess Care Organization by Beth Israel Lahey Health; and the Contracting Affiliation Between Beth Israel Lahey Health and Mount Auburn Cambridge Independent Practice Association (HPC-CMIR-2017-2), Final CMIR Report, September, 2018. Analytic support provided by Freedman HealthCare, LLC. Massachusetts Health Policy Commission Review of Partners HealthCare System’s Proposed Acquisition of Massachusetts Eye and Ear Infirmary, Massachusetts Eye and Ear Associates, and Affiliates (HPC-CMIR-2017-1), Final Report, January, 2018. Analytic support provided by Freedman HealthCare, LLC. Releasing APCD Data: How States Balance Privacy and Utility. March, 2017. Report prepared by Freedman Healthcare, LLC. Why Are Hospital Prices Different? An Examination of New York Hospital Reimbursement. December, 2016. New York State Health Foundation. 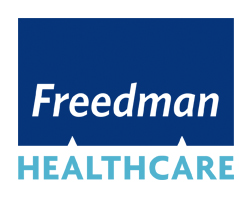 Data analyses, quality analyses and project management support provided by Freedman HealthCare, LLC. Examination of Health Care Cost Trends and Cost Drivers Pursuant to G.L. c 12C, § 17: Report for Annual Public Hearing Under G.L. c. 6D, § 8. October, 2016. Analytic support provided by Freedman HealthCare, LLC. Massachusetts Health Policy Commission Review of Beth Israel deaconess Care Organization’s Proposed Contracting Affiliation with New England Baptist Hospital and New England Baptist Clinical Integration Organization (HPC-CMIR-2015-1) and Beth Israel Deaconess Care Organization’s Proposed Contracting Affiliation and Beth Israel Deaconess Medical Center’s and Harvard Medical Faculty Physician’s Proposed Clinical Affiliation with MetroWest Medical Center (HPC-CMIR-2015-2 and HPC-CMIR-2016-1), Final Report, September, 2016. Analytic support provided by Freedman HealthCare, LLC. Re-examining the Health Care Cost Drivers and Trends in the Commonwealth: A Review of State Reports, Massachusetts Association of Health Plans, February, 2016. Report prepared by Freedman HealthCare, LLC. Examination of Health Care Cost Trends and Cost Drivers Pursuant to G.L. c 12, § 11N: Report for Annual Public Hearing Under G.L. c. 6D, § 8. September, 2015. Analytic support provided by Freedman HealthCare, LLC. Examination of Health Care Cost Trends and Cost Drivers Pursuant to G.L. c 6D, § 8: Report for Annual Public Hearing. June, 2015. Analytic support provided by Freedman HealthCare, LLC. Health Policy Commission Review of Partners HealthCare System’s Proposed Acquisition of Hallmark Health Corporation (HPC-CMIR-2013-4), Final Report, September, 2014. Analytic support provided by Freedman HealthCare, LLC. Health Policy Commission Review of Lahey Health System’s Proposed Acquisition of Winchester Hospital (HPC-CMIR-2013-3), Final Report, May, 2014. Analytic support provided by Freedman HealthCare, LLC. Health Policy Commission Review of Partners HealthCare System’s Proposed Acquisitions of South Shore Hospital (HPC-CMIR-2013-1) and Harbor Medical Associates (HCP-CMIR-2013-2), Final Report, February, 2014. Analytic support provided by Freedman HealthCare, LLC. Examination of Health Care Cost Trends and Cost Drivers Pursuant to G.L. c 6D, § 8: Report for Annual Public Hearing. April, 2013. Analytic support provided by Freedman HealthCare, LLC. Examination of Health Care Cost Trends and Cost Drivers Pursuant to G.L. c 118G, § 6 1/2b: Report for Annual Public Hearing Under. June, 2011. Analytic support provided by Freedman HealthCare, LLC. Examination of Health Care Cost Trends and Cost Drivers Pursuant to G.L. c 118G, § 6 1/2b: Report for Annual Public Hearing Under. March, 2010. Analytic support provided by Freedman HealthCare, LLC. North Carolina APCD Report Published: The North Carolina Institute of Medicine (NCIOM) has published a report proving the value of implementing an All-Payer Claims Database in the state. The study suggests that employing an APCD will provide North Carolina decision makers access to data that will assist in improving health and healthcare services throughout the state. Read the full article.